Village Green seeking TIF money to redevelop a historic Loop highrise! I really really hope this building gets started soon. I have a friend who lives in another Village Green rental building and let me tell you that they did an amazing job with the apartments and I’m confident that Village Green will do the same for 188 W. Randolph. Now I just gotta try to get in to one of those below market rent apartments! Partially masked by nets and scaffolding for months, the Jazz Age skyscraper at 188 W. Randolph looks like a wounded veteran of the real estate crash. To restart its renovation, the owners are in hot pursuit of public financing. Apartment builder Village Green Cos. has asked the Illinois Housing Development Authority to issue tax-free bonds on its behalf. And City Hall has begun to move on Village Green’s request to establish a tax-increment financing district that could help the project. 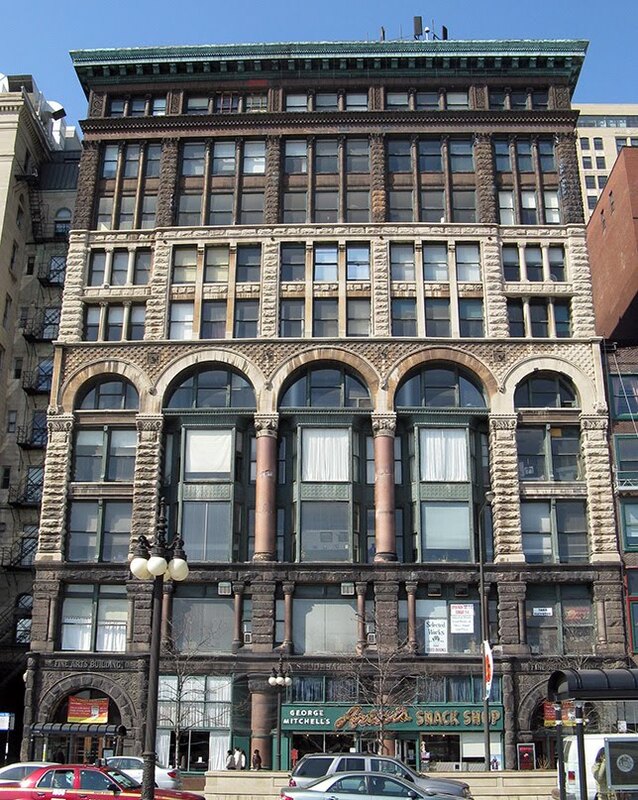 The 188 W. Randolph building, known in its early life as the Steuben Club Building, is remembered more recently for its falling terra-cotta. Village Green, which bought the building out of bankruptcy for $10 million in 2005, fixed the worst of it and put up the scaffolding to protect pedestrians. But the richly ornamented terra-cotta is what makes the building special and contributes to its status as a Chicago landmark. Kenneth Barnes, senior vice president for development at Village Green, said public support is justified by the historic preservation. Twenty percent of the apartments would be set aside at below-market rents, calculated as affordable for families with 50 percent of the city’s median income. The office building would be converted to 310 apartments, Barnes said. Village Green will occupy lower-floor commercial space, turning it into its Chicago regional office…. Another Chicago building gets a good cleaning. The Fine Arts Building on Michigan Avenue. Wow, I’m naiive…and I guess stupid but why is it that I always think these buildings are supposed to be this dark and grimy color? First it was the Old Colony building and now it’s the Fine Arts Building that is returning to its original splendor after a nice bath. The Fine Arts Building, located at 410 S. Michigan Avenue across from Chicago’s Grant Park, has been going through the tedious process of cleaning the facade after decades of filth and grime soaked into the exterior stone. Look at the pictures, especially the last one, and you’ll notice the change. A big thanks goes to the ArchitectureChicago Plus website for the post and the photos! Village Green plans for a $141M apartment conversion in a historic Loop building! 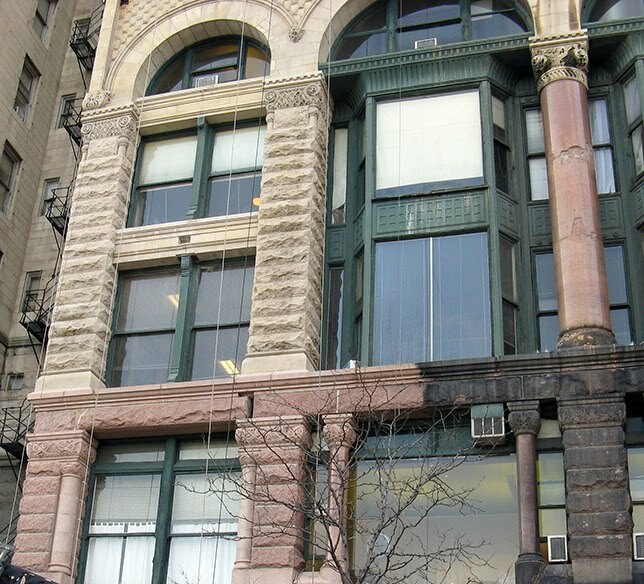 This article from ChicagoRealEstateDaily.com, talks about an upcoming apartment conversion from Village Greenin the historic Gothic Revival office building, located at 188 W. Randolph Street, in the Loop. 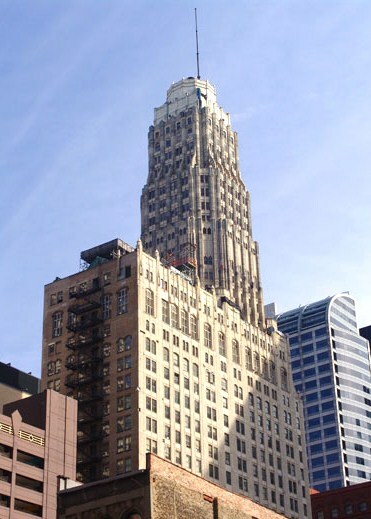 This 45 story building served as office space but became obsolete and went into terrible disrepair. 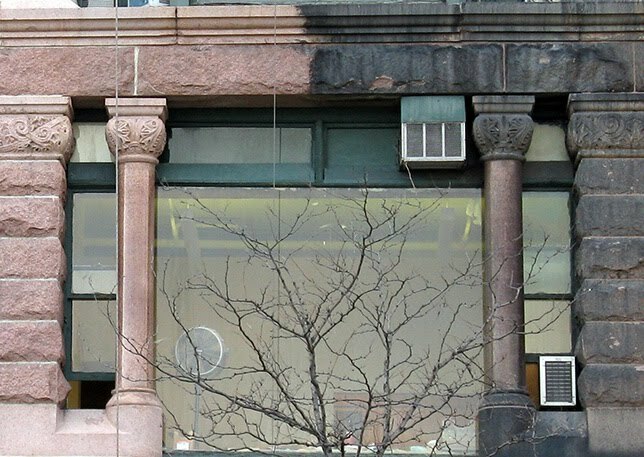 As recent as a few years ago, pieces of terra cotta facade from the tower portion of the building dislodged and fell to the street below…not good. Since then, much of the tower has been covered to prevent more from falling. When open, the building will be named Randolph Tower City Apartments and judging from other Village Green properties, including MDA Chicago City Apartments and the Fisher Building, this new building will be amazing when complete. Because of the major overhaul needed, and the lack of available financing, Village Green is looking to the City of Chicago to provide TIF financing for this project. According to the article, there will be 313 apartments with a cost of $450,000 per unit when renovation and conversion is complete. Because of this extremely high cost, the buildings original owner planned to demolish the building because the cost to build an entirely new building would be much less than converting to apartments. Construction is slated to begin in early 2010 and should be complete in 2012!